Remedial Design and Implementation - SCA Environmental, Inc.
SCA Environmental, Inc. has completed a variety of remediation projects for military, commercial, and municipal clients. SCA serves as Project Engineer on many remediation projects, and also maintains General Contractor "A" and "B" licenses to allow turn-key remedial services. Projects range from simple, short-term excavation projects to long-term treatment with in-place remedial systems. SCA provides superior client service and results-oriented designs, whatever the project size. SCA’s services include preparation of planning documents; permitting; on-site treatment such as bioventing, soil vapor extraction, chemical stabilization, facilitated In Situ bioremediation, air sparging, and thermal desportion; off-site disposal, containment, and remedial support. Site assessment and remediation of a PCB-contaminated marine laboratory located in Monterey County, California. Design and installation of remediation systems for leaking underground storage tanks which included soil vapor extraction and periodic system monitoring. 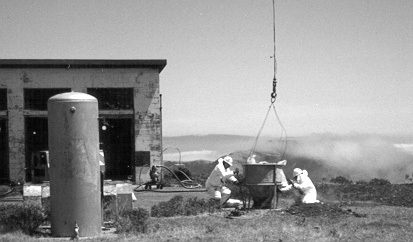 UST removal and remediation for remote locations, including the former Nike Missile tracking facility at Fort Khronkite in the Golden Gate National Recreation Area which involved removal of the tanks, PCB-transformers, and contaminated soils by helicopter.